The Fellowship of the Ring celebrates 60 years! The Fellowship of the Ring – the first title of the epic story, The Lord of the Rings – was unleashed on the world way back on 29th July, 1954. The Battle of the Five Armies Teaser Released! The Trilogy of The Hobbit Posters? Last year, with the release of the first official teaser poster for The Desolation of Smaug, I wrote a post regarding the powerful simplicity of the imagery, and how it fitted so well with the first poster from An Unexpected Journey. Behold the fury of Smaug! Do your Middle-earth discs freeze? “Freeze” as in: stop; pause; halt; momentarily cease to function; 1 frame turns into 10 frames or more? 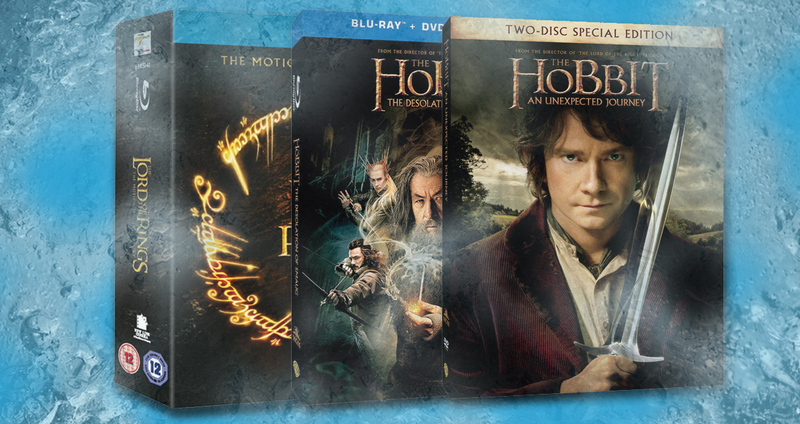 Own the Remastered Deluxe Edition of The Hobbit and The Return of the King! It is the year when there’s much ado in Middle-earth; not least of which the third installment of The Hobbit next December. In the meantime, to subdue our cravings for Middle-earth, Warner Bros Home Video will be releasing two remastered animated classics: The Hobbit (1977) and The Return of the King (1980). The first official image from The Hobbit: The Battle of the Five Armies, has been released via Entertainment Weekly.